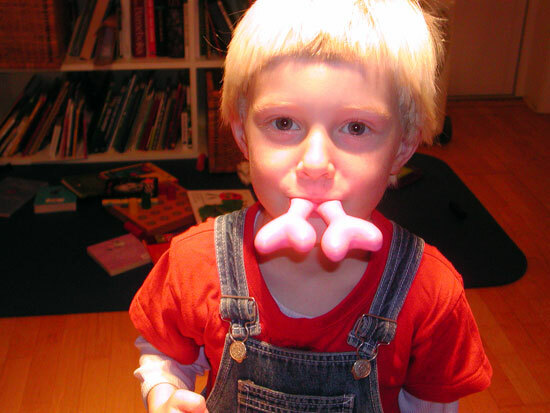 In the winter of 2006, I started observing my son Einar’s experiments with form. 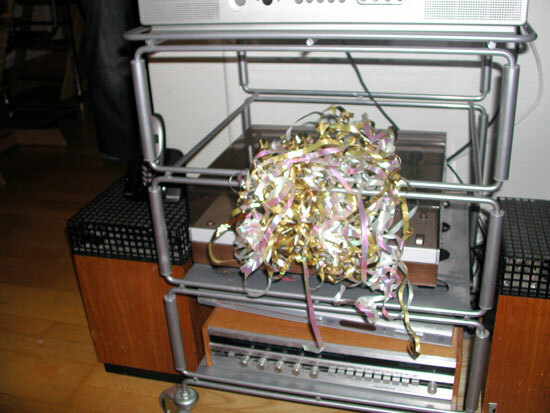 Einar was creating small arrangements around the house, combining objects or moving them to new places. I documented the arrangements, wondering if a four-year-old related more freely to objects and meaning, or if he had any concept of composition. 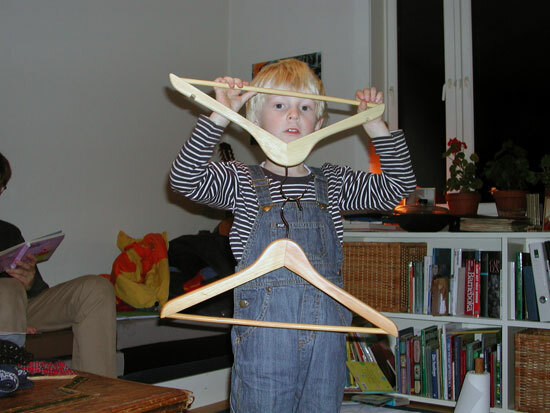 Some days later, he hung a hanger from another hanger and held them up. 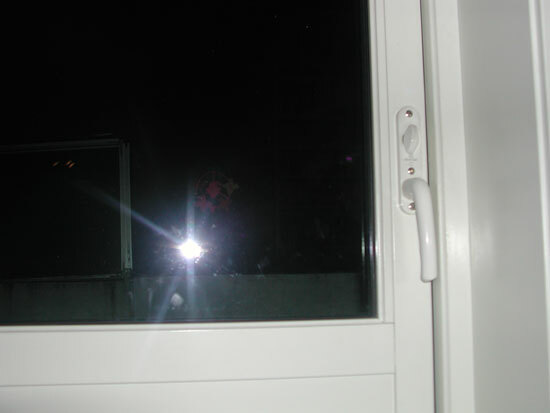 It was winter; that’s the reason for the flat flash in the pictures. It seemed dark all the time, and there was no snow. It just rained and rained, and we were inside the apartment. The egg cup and hanger arrangements have something in common aesthetically. They consist of two unitary objects placed together in a symmetrical relation. The objects are rendered more abstract and less functional, and consequently they become qualitatively different. Both compositions express mirroring—perhaps a fundamental human experience of a relation? We witness the same mechanism in this picture. Einar has arranged the identical night lamps so that they illuminate each other, like one face looking at another face. We witness the same mechanism in the picture in the previous page. Einar has arranged the identical night lamps so that they illuminate each other, like one face looking at another face. Einar could have been interpreting the lamps as faces, since he often pursues animate objects. We might suggest that these lamps are looking at each other, if that thought gives meaning to Einar's actions. However, to claim that this work means or symbolizes two faces is a total misunderstanding, and unfortunately too common in prevalent concepts of how art functions. This work below looks much like the previous one. However, Einar doesn’t understand it as a visual work at all. Rather, he is testing what it is like to blow into two balloons at the same time. The act is not performative, because Einar doesn’t intend to be noticed while acting. I nonetheless took the picture and thereby made it visual. Without this picture, Einar's act of blowing into two balloons would have been gone forever. Below we can see a work that implies a kind of animism. 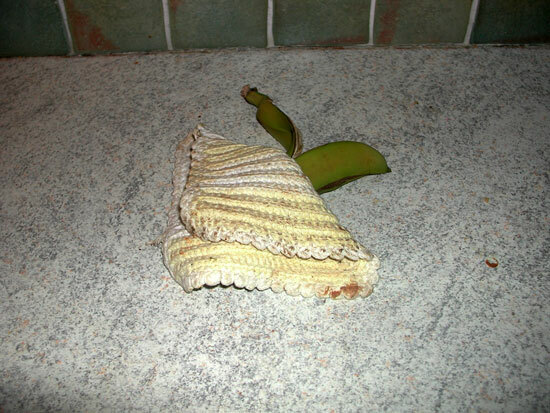 The banana was tired and needed a kettle holder as a blanket. 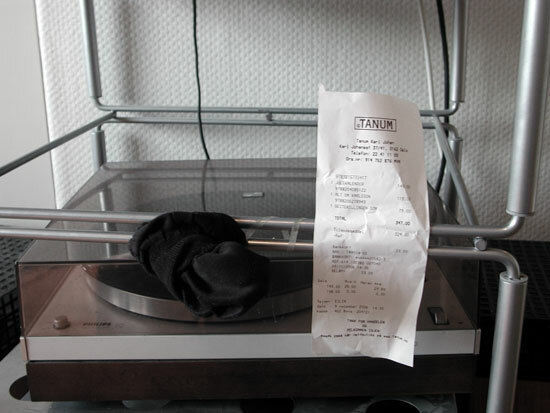 Below is a worn sock and a receipt, but they can be swapped. For example, they can be swapped with ribbons. 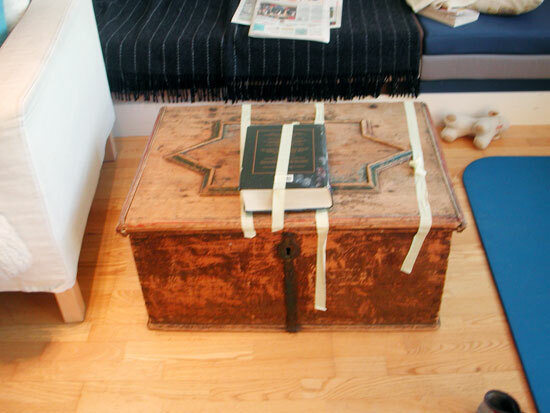 Here tape has been used to attach a book to a chest and to close the lid of the chest. 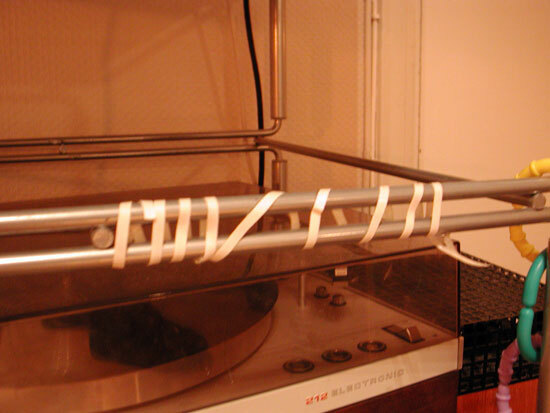 However, the primary intention was probably not to attach the book or to close the lid, and definitely not to create an abstract composition, but to practice taping. One might call this work below performative. 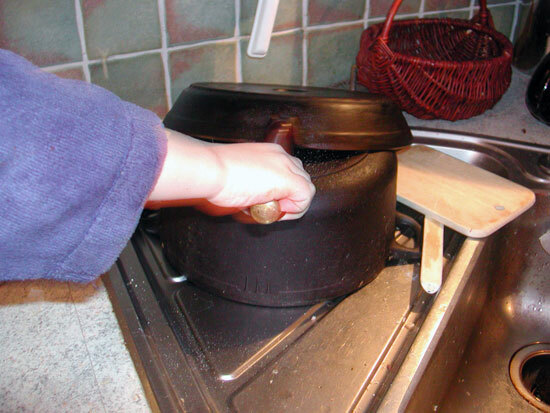 During the performance, it was announced that the lopsided frying pan was Finland, while the level frying pan was Norway. Could this be interpreted as Norway being more “proper” than Finland? Einar has never been to Finland and he doesn’t know what a nation is. He probably doesn’t have any associations whatsoever with the concept of Finland. “Finland” must be an empty word, useful only as a parallel to the word “Norway,” of which Einar has a fuller understanding—he knows, for instance, that we live in Norway. 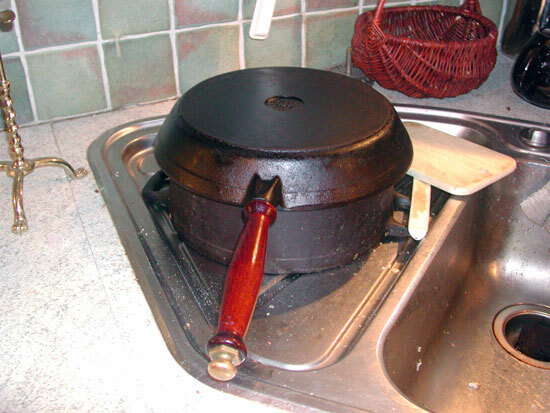 Unfortunately, it is still not very clear what makes the level frying pan Norway here. A less interesting work: it’s like someone arranged something without any distinct purpose. 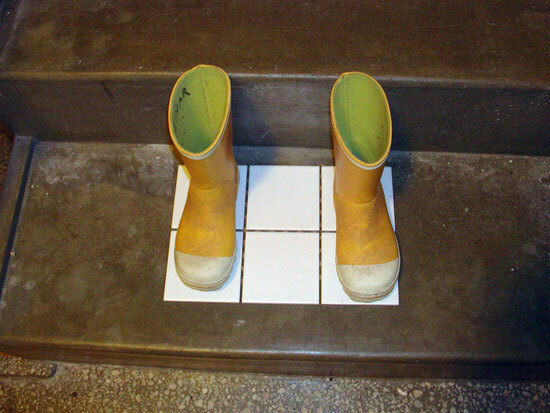 In my opinion, the combination of rubber boots and tiles has no clear meaning. 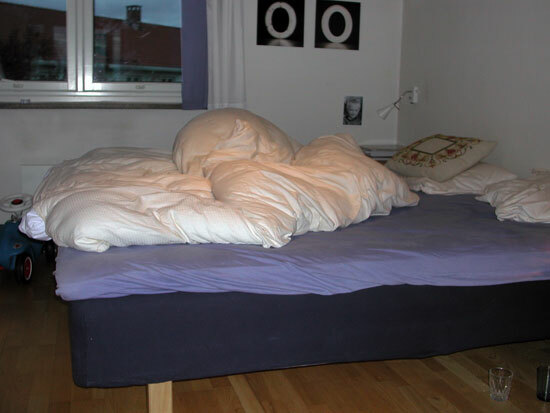 However, it illustrates a tendency in Einar’s installations: an exaggerated principle of order and symmetry, where the symmetry is superior to the logic. 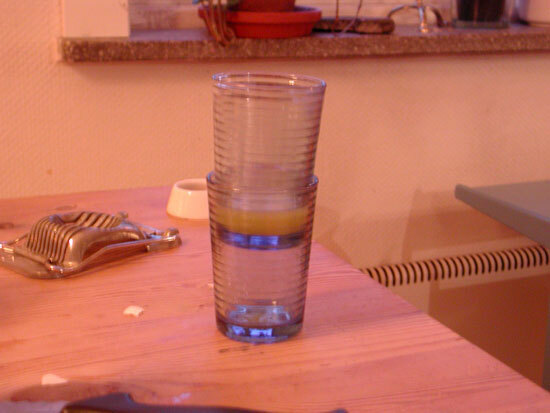 It is irrelevant whether the objects have a connection, as long as they’re arranged symmetrically. This principle of order is evident here, too. 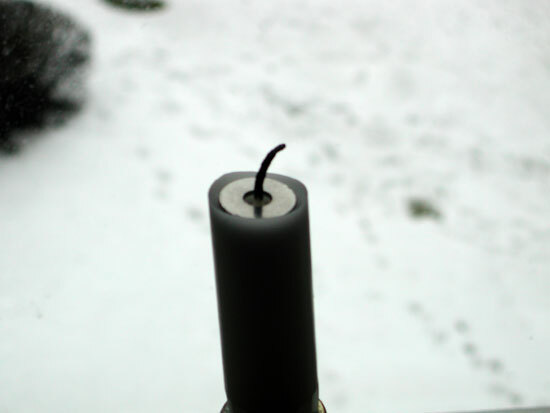 A washer is placed on top of a candle, not because this combination is interesting or logical, but because the hole in the washer fits the candlewick. 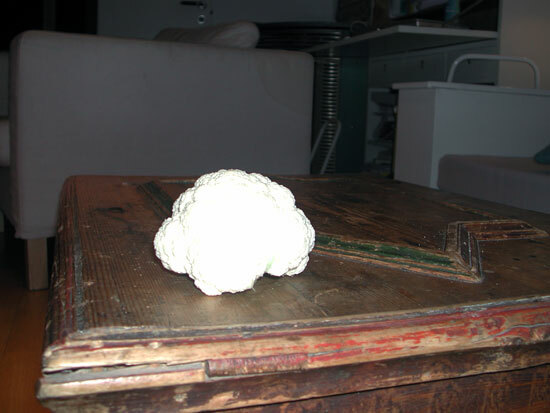 I gave this cauliflower to Einar and asked him to make a sculpture out of it. He just placed it on the table and said it was done. Then he said he wanted to photograph it. 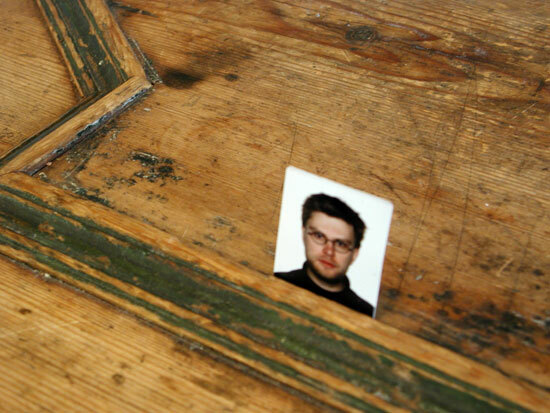 This might imply that Einar believes objects only become interesting when photographed. It is therefore less important to spend a lot of time creating a form, and more important to take a snapshot as quickly as possible. 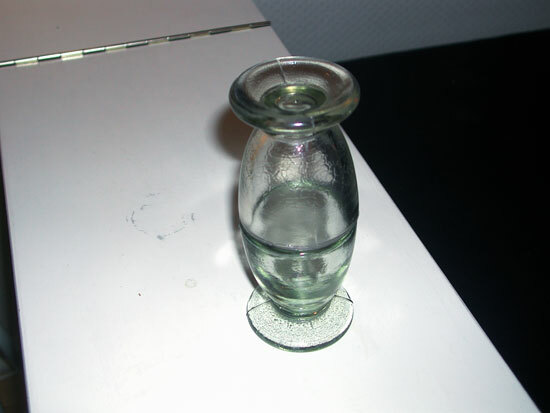 For Einar, initially the point was to create a composition. After a while, this shifted to the action of photographing the composition. In an artistic context, this shift would have significant meaning. But in the process used by Einar and I, it didn't make much difference whether the point was to create works or to photograph them. The mediated reality and the reality itself were equally real and interesting. and this below, a variation on the hanger composition, questionable because I believe Einar copied his earlier work to meet certain expectations. 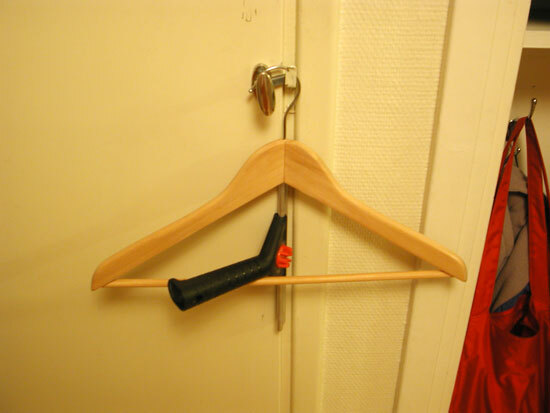 To me, these repetitions of hangers in different contexts do not seem very inspired. 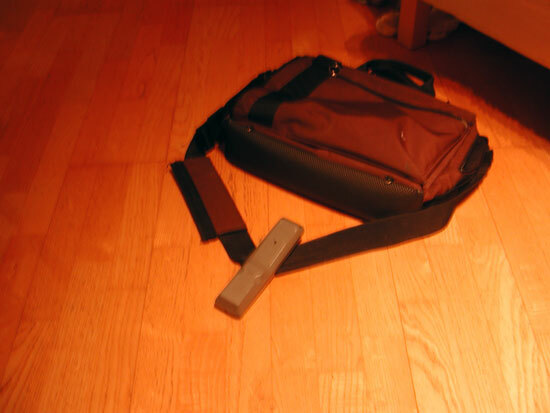 This picture shows a remote control on top of a computer bag’s shoulder strap. It's an important work because it’s uncertain whether it was deliberately made like this, or whether the objects were randomly tossed there. I couldn’t get any certainty on this, and when I thought about it, it suddenly didn’t matter anymore. The meaning was equally clear or unclear regardless of whether it was a conscious work or not. I no longer saw the difference in principle between the egg cup arrangement, the cauliflower, and the remote control. One of the egg cups was turned upside down, thus representing a more original aesthetic choice. They looked more like art, and this was intriguing. But, after a while I understood that even if some of these objects looked like art, they weren’t art. Or if they were, then the cauliflower and the remote control also had to be art. The placement of the remote control, communicating in some way with the shoulder strap, had an aesthetic dimension. We had come full circle. We had moved from functional objects, to sculptures, to ready-mades, and then back to functional objects. Neither Einar nor I had noticed any differences, any breaks or borders. 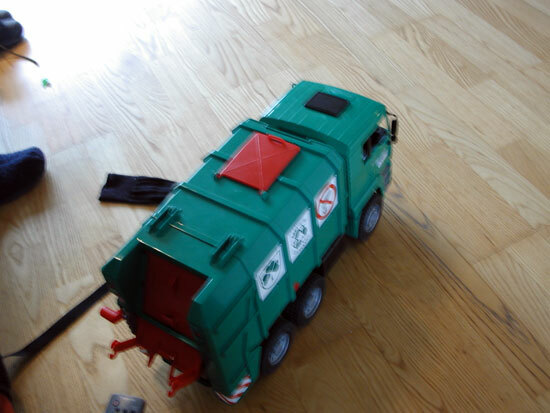 This is Einar’s photograph of his toy car. It is nothing special, but there wasn't anything special about the egg cups either. Everything became equally valid: aesthetic or non-aesthetic, art or non-art, form and content or no form and no content. Many things look like art, but are not. And many things do not look like art, but are art, or not. As we traveled down this road toward the abolition of the universal idea of good and bad form, this new attitude toward things infected my surroundings, as if I were inside a zone where all things could be the result of a higher formal awareness: the roads, the chewing gum on the sidewalk, the yellow light over the city on our way home from the kindergarten. Or it could not be; it didn’t matter anymore. Everything became art, and in the same moment, nothing. How To Become A Non-Artist is excerpted from a 2007 video by the author.